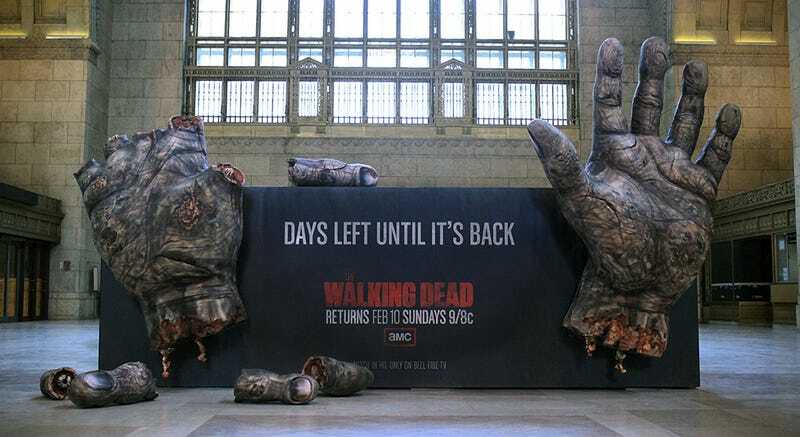 Located in Toronto's Union Station, this billboard designed by Leo Burnett was installed to let passing travelers know how many days were left until The Walking Dead returned for the second half of Season 3 on AMC. With each day that passed, one more of the giant zombie fingers was ripped off (hopefully in an appropriately-graphic fashion) and placed on or around the billboard. Want a giant rotted zombie finger in your own home? Who doesn't? Fans could tweet with the hashtag #TWDFeb10 for a chance to win one of the dismembered digits, which would make a great conversation piece in any home.